York, United Kingdom — Jan 30, 2018 — Piksel, Inc., a global provider of professional and managed services underpinned by its state-of-the-art video platform, the Piksel Palette™, today announced that Avi Cohen has joined its board of directors. Mr. Cohen was most recently the CEO of MX1, a global media services provider founded in July 2016 from the merger of RR Media and SES Platform Services, and before that was CEO of RR Media, from July of 2012. 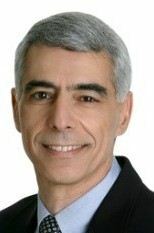 Prior to joining RR Media, Mr. Cohen served as President and CEO of Orbit Technologies Ltd., a leading manufacturer and provider of Satellite Communication technology from 2008. Before joining Orbit, Mr. Cohen served as COO of ECI Telecom and he served in a variety of management positions at KLA-Tencor. Mr. Cohen also serves as a director of Nova Measuring Instruments and he holds B.Sc. and M.Sc. degrees in electrical engineering and applied physics from Case Western Reserve University. “I have followed Piksel and its management team for many years and have always been impressed with its ability to innovate while delivering highly complex and robust software solutions. Piksel’s Palette product continues to define the state-of-the-art of OTT technology today and is being adopted by a growing number of Tier 1 broadcasters and MVPDs. I’m excited to be joining their board,” said Cohen. Piksel’s unrivaled expertise is in designing, building and managing online video solutions for the likes of AT&T, Sky, Channel 4, Discovery, Liberty Global, Mediaset and OSN. Headquartered in York, UK, Piksel offices can be found throughout Europe and the Americas.